Play Quest for Gold online for free now! 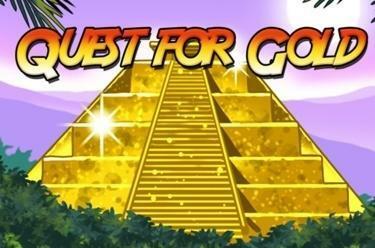 Heads up treasure hunters: The gold of the Aztecs is calling out for you at Quest for Gold! The shining artefacts will be on their best behaviour in this slot and - if they land in the right combination - fill up your player account with Twists. The treasure map will lead you to 10, 12 or 15 Bonus Games where your audacity will be rewarded with 10x higher winnings! Quest for Gold is played on 5 reels and up to 20 win lines. 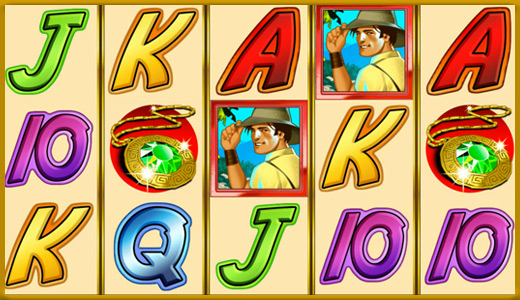 You will secure the highest winnings if you land 5 matching symbols along the active win lines. Your win lines run from left to right across the reels. A winning combination consists of several matching symbols; it has to start on the first reel and the symbols have to lie side by side along the win line without being interrupted. 3, 4 or 5 treasure maps win 10, 12 or 15 Bonus Games, which will use the settings from your last regular round. Initially all winnings in the Bonus Game are doubled. If you land 3, 4 or 5 treasure maps in the Bonus Game you will win further Bonus Rounds and increase your multiplier by +1. The maximum winning multiplier is +10.